With Determining And Accepting Racial Identity, Do Biracial Men Have It "Easier" Than Biracial Women? Full disclosure: I love Sage Steele. If you don’t know anything about sportsball, Ms. Steele is veteran journalist who came up in Indianapolis news scene and made her way all the way to the hallowed halls of Bristol, CT and ESPN. Even though I have long since stopped watching ESPN, partly because of there are a plethora of other options on the internet and partly because seeing Stephen A. Smith’s atrocious choppa suits are like a handful of salt in the eyes, Sage was and is always a welcome sight during NBA broadcasts. Now, if you weren’t aware before, you now know, Sage is biracial. It’s 2016, and there’s nothing odd about that. She’s a person. She loves her mom. The sky is blue, trees are green, and the earth is flat. Does Sage Steele feel pressure to let people know she’s white because she’s not ambiguous looking? Does she feel like she’s not reaping the benefits of her Whiteness because she didn’t end up a shade of indeterminate beige? These two examples touch into the gamut of issues that biracial people (particularly from Black/White pairings) face when forming their identities. 1. People (both White and Black) often say horrible, uncalled for things to biracial people chiefly out of insecurity and bitterness. 2. Having an absent parent can skew a biracial person’s formation of self-identity. 3. Cultivating exoticism is a large part of racial politics. As an observer, I’ve come to recognize that Aubrey “Drake” Graham has apparently solved this puzzle, and become a person who appears, at least on the public stage, to love the totality of his racial self without reservation. This man has the gall to consistently reference both of his parents in his music and humanize them in an earnest, non-judgmental way. He regularly discusses his Jewish mother, Sandi Graham’s worrisome nature. She judges all of the various strippers and “good girls” he brings home, and doesn’t want to end up “70 and alone.” Also, he speaks of his soul drummer father, Dennis Graham, who left his mother and son in Canada, and served a couple of jail stints in a positive light. He loves his country black cousins in Memphis and his Jewish uncle who let him borrow his car in “Look What You’ve Done.” He even dedicated a music video to each of his parents. Dennis Graham got to flex with some of his dice buddies in “Worst Behaviour” and Sandi Graham posted up in front of the stoop “Started From The Bottom” Video. And of course we can’t forget Drake inviting Lil Wayne to his grown man bar mitzvah. On top of this well executed parental reverence, Drake has weathered a biblical storm of light skinned jokes over the years, culminating in the personalized #drakethetype hashtag. Through all of this he never made a peep about Black people being mean spirited, or bitter or jealous, he just kept making great music and basically won over the entire world by being himself. Coincidentally, the hit single from his mixtape/album “If You’re reading This It’s Too Late” was titled “Know Yourself.” Maybe Drake is really that self-aware or maybe he’s the just the result of a magnificent case of co-parenting that needs to be studied for future generations. The first two characteristics of the Drake model that initially made question Drake’s biracial brilliance are Canada and age. I wondered if growing up in Canada would shape his perception of race in a different light. 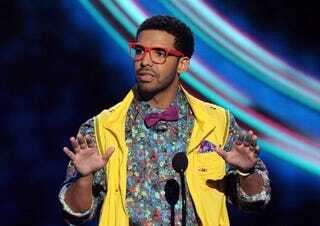 Then again, Drake is half Canadian-half Memphian. And being half from Memphis is a worth two lifetimes of racial baggage. My second thought was that being a millennial, like I am, Drake had the benefit of the internet to shape his identity. Unlike, the 40 plus year-old women, who may have had the scope of their images limited as children, a teen in the aughts could find positive role models who looked like him with a little less effort. However, having access to all of the knowledge mankind has accrued over the eons, hasn’t imparted a nuanced understanding of race onto most millenials. So the Drake model stood until I considered a third characteristic. Gender. Drake is a man. A man who is not beholden to the same beauty standards that drive colorism. This realization sent me down the rabbit hole where race plummets into cornucopia of sexism. A study of college-aged women in the American Sociological Review, which I read via Code Switch, co-signs this. It reveals that 76 percent of black-white biracial women identify as multiracial, which is the highest among any racial pairing and 12 percent higher than Black-White biracial men.